Keep liquid/gel soap handy at all times with this high quality liquid soap dispenser. 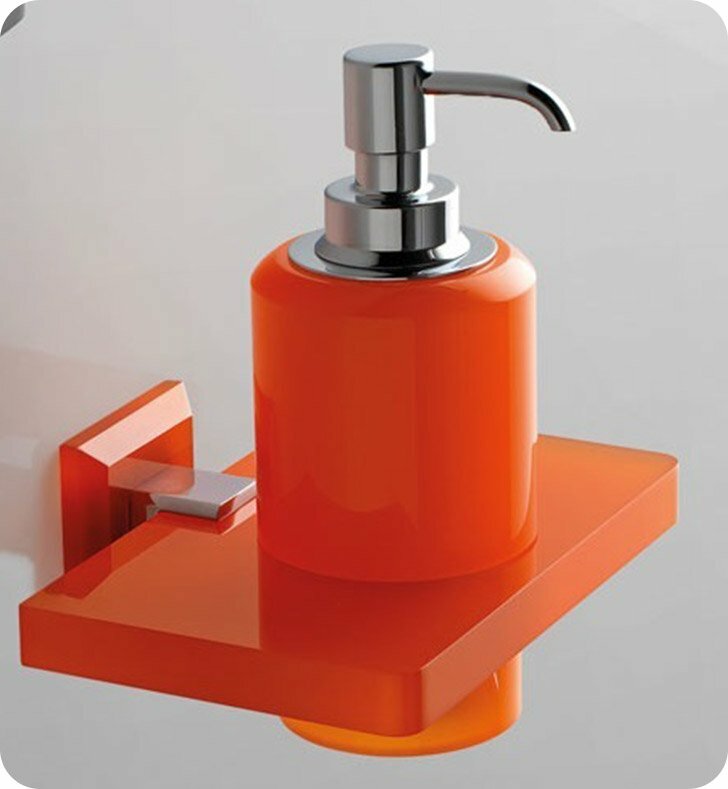 Wall mount and available in blue, green, black, orange, light blue, white, or pink, this plexiglass soap dispenser pump compliments a contemporary & modern personal bathroom. Designed and made by Toscanaluce in Italy. From the Toscanaluce Grip collection.